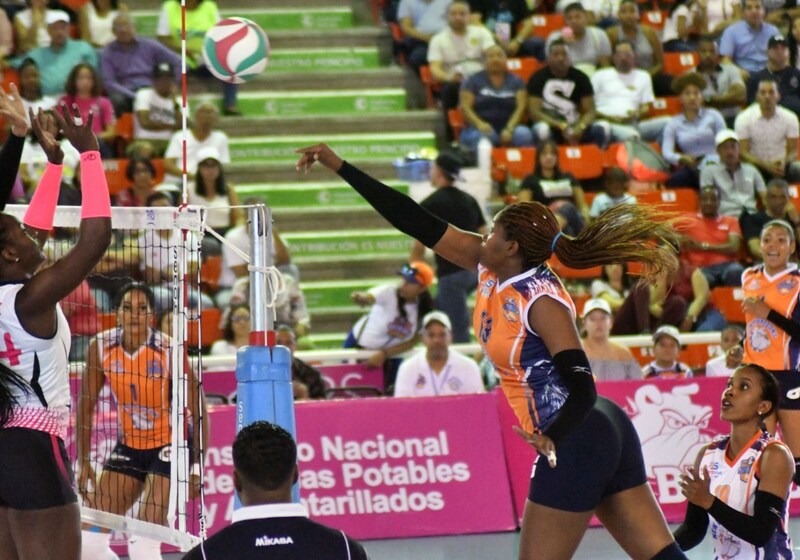 SANTO DOMINGO, Dominican Republic, March 24, 2019 – Erasma Moreno returned to her old form scoring 26 points in the victory of Caribeñas over Cristo Rey to take a 1-0 lead in the best-of-three semifinal series of the Dominican Women’s Volleyball Superior League on Sunday. Moreno who had sub-par productions in her last three matches after surpassing the 20-point plateau in her first six led four players in double digits in the 3-1 (25-23, 25-19, 19-25, 25-20) victory. Lisvel Eve added 18 points in the victory while middle blockers Annerys Vargas and Cándida Arias contributed 12 and 11, respectively. Middle blocker Marifranchi Rodríguez led Cristo Rey with 17 points, including a match-high 6 blocks. Madeline Guillen added 14. The second match of the series will take place next Wednesday. The winners of the semifinals will meet Mirador for the title in a best-of-five Finals.